A special objective of the program model is to talk with Home Owners and Renters to understand their needs, interests and preferences. Home Share professional staff promote living arrangements that are a “good fit” and mutually beneficial. Home Share is not a financial assistance program and funds are not distributed to participants. 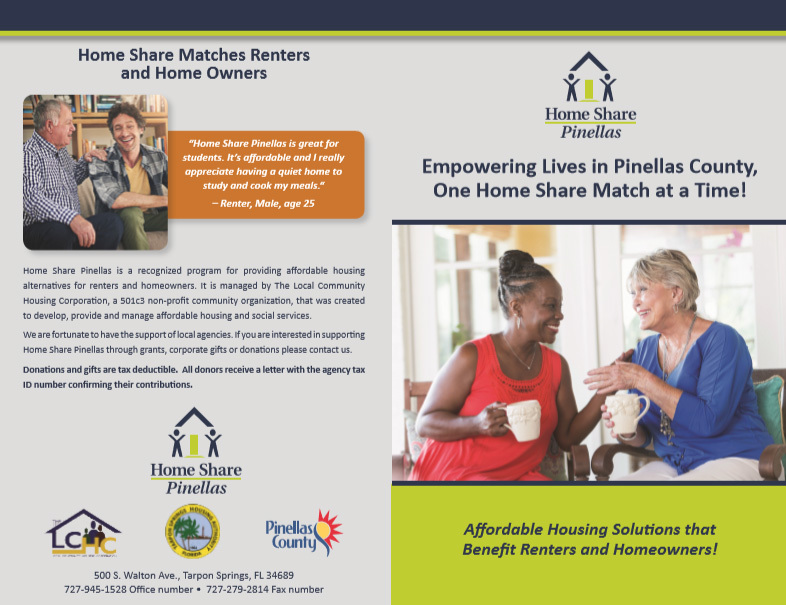 There are NO FEES associated with Home Share Pinellas application and no deposit fees for either the Home Provider or the Home Renter. If you are looking for a new housing solution or have a home with space to rent, we encourage you to apply for our program. We have Home Providers all throughout Pinellas County.